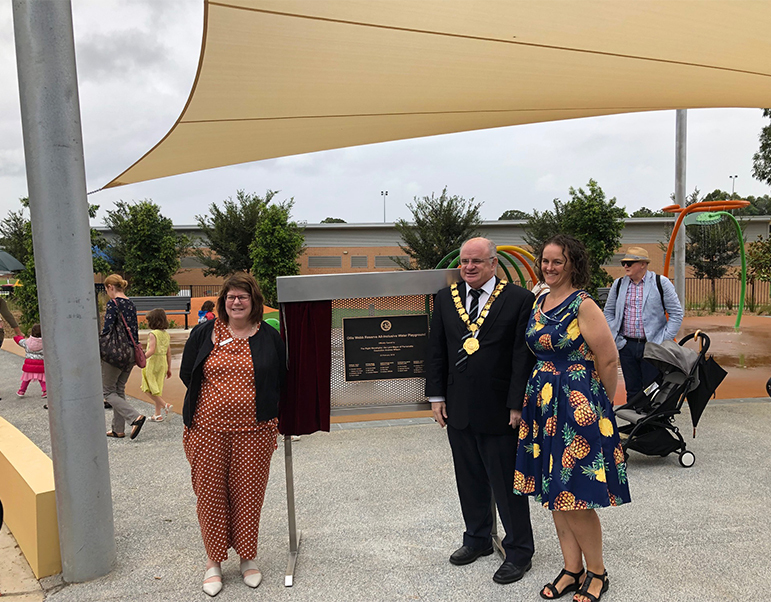 Last Saturday, Samantha Frain, Executive Director of Northcott Innovation (NI) was excited to attend a special community event to celebrate the opening of Parramatta’s first Livvi’s Place all-abilities playground at Ollie Webb Reserve. The playground is the City of Parramatta’s first all-inclusive playground and water play park. NI is proud to have played a role in designing the all abilities playground, which includes: in-ground trampolines; a water playground, sand pit, slides, tunnels, and a Changing Places facility. Sam (pictured far right) joined the City of Parramatta’s Lord Mayor Andrew Wilson and EarlyEd CEO Kerry Dominish at the special event.